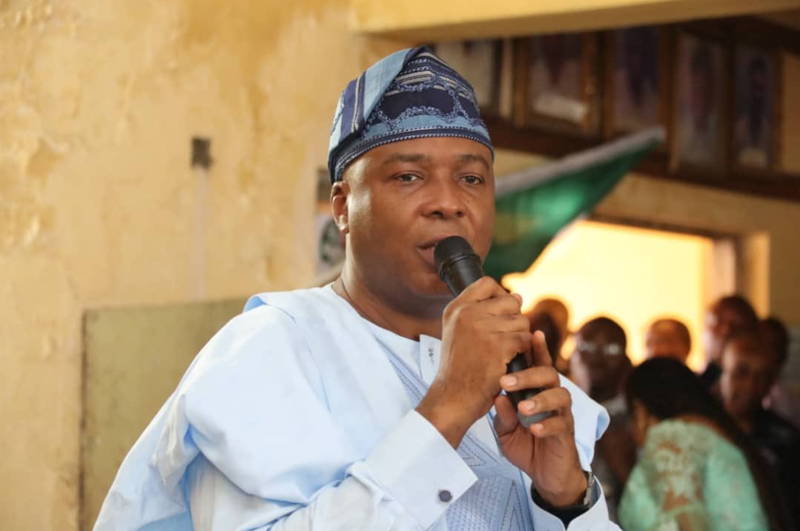 Abubakar Bukola Saraki, Senate President, has responded to remarks made by All Progressives Congress (APC) leaders made about him during their party’s presidential campaign rallies at the Metropolitan Square in Ilorin, Kwara State. Okay Nigeria recalls that Asiwaju Bola Ahmed Tinubu, Adams Oshiomhole and Lai Mohammed who are all leaders of the All Progressives Congress (APC) called for the end of Saraki’s “hegemony” in Kwara. However, In a statement made available to Okay Nigeria by Yusuf Olaniyonu, Media Adviser to Saraki, responded to the attacks saying the attacks on him showed the frustration of the APC leaders. The statement reads: “That is why in their desperate mood they are only hurling abuses instead of discussing issues and telling the people what they will do for them. They came to Kwara State to hurl insults at me and my people, instead of explaining to the people what they want to do differently and what contributions their flagbearers and other leaders in the state have made to our various communities to justify the people shifting their loyalty to their dying party. They promised nothing concrete that will improve the standard of living of the people and provide infrastructure. Also in the statement, Saraki revealed that Tinubu’s grouse against him was because he stopped his move to become Buhari’s running mate in 2015. “As far as he, Tinubu, is concerned, I stopped him from realisng his ambition then. However, I believe my action then and now is in pursuit of national interest. Again, I supported President Buhari in 2015 because I believe he could make a positive change. I left the party when I realised he lacked the capacity and the desire to make any change,” the statement quoted Saraki.